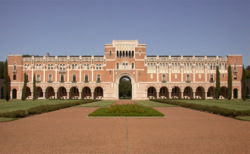 William Marsh Rice University (commonly called Rice University and opened in 1912 as The William Marsh Rice Institute for the Advancement of Letters, Science and Art) is a private, comprehensive research university located in Houston, Texas, United States, near the Museum District and adjacent to the Texas Medical Center. 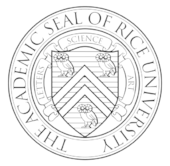 Rice is particularly noted for its elite undergraduate division, as well as its strength in the applied sciences. The university has been a pioneer in the fields of nanotechnology, artificial heart research, structural chemical analysis, and space science. William Marsh Rice moved from his native Massachusetts to Houston in 1839 and established a store in the new city. Soon he was trading cotton, investing in land and railroads and on his way to making a fortune. After the Civil War, he retired to the East Coast, but he still had investments in Houston and often returned to the city. During an 1891 visit, he called together a group of friends and his lawyer, Captain James A. Baker, and chartered the William Marsh Rice Institute for the advancement of literature, science and art. This charter was a vague document that listed a variety of functions but did not specifically call for the establishment of a university. It did say that nothing was to be done before his death. Rice died on Sept. 23, 1900, but not of natural causes. Albert T. Patrick, an unscrupulous lawyer, was in cahoots with Rice’s valet, Charles Jones. They had concocted a plot to steal his fortune by means of a forged will. Impatient for Rice to die, the crooked lawyer and greedy valet suffocated him. They might have gotten away with their scheme; however, the next day, they tried to cash a check written out to the lawyer by the valet. In their rush, the valet misspelled the lawyer’s name. An alert bank clerk noticed the discrepancy, and the bank president called Rice’s apartment for verification. With Capt. James Baker, Rice’s lawyer, pressing the investigation, the plot soon unraveled. The valet confessed, the lawyer was sent to Sing Sing, and Rice’s fortune was saved. A counterclaim to much of the estate, based on Rice’s second wife’s will, was settled in 1904, and the funds became available to fulfill the intentions of the 1891 charter. But exactly what kind of institution did the imprecise charter mandate? To guide them, the trustees chose an imaginative first president, a young mathematician and astronomer at Princeton University named Edgar Odell Lovett. Lovett had earned doctorates from the University of Virginia and the University of Leipzig, and he had taught at Johns Hopkins, the University of Chicago and Princeton, the most innovative American universities of the time. The trustees sent him on a worldwide tour of the “competition,” where he interviewed faculty, inspected facilities and developed an inspired vision of what might be accomplished on the plains of Texas with a blank-check charter, a generous endowment and high ambitions. The goal was a university "of the highest grade" that kept "the standards up and numbers down." 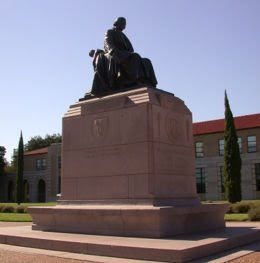 Lovett shaped the university that Rice would become. The Rice Institute opened on Sept. 23, 1912, the anniversary of Rice’s murder, with 77 students and a dozen faculty. An international academic festival celebrated the opening three weeks later, a spectacular event that brought Rice to the attention of the entire scholarly world. Four years later, at the initial commencement, 35 bachelor's degrees and one master’s degree were awarded, with the first doctorate conferred in 1918. 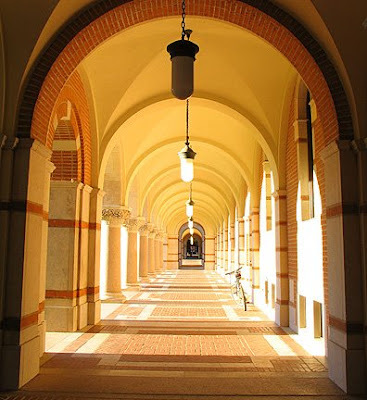 Undergraduate life at Rice University differs from that at many other American universities because of Rice's tradition of residential colleges. At most universities, the word "college" refers to the entire institution, the undergraduate program, or a particular academic division. 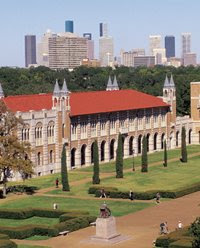 At Rice, "college" is a way of life. Approximately 76 percent of the current undergraduate student population live on campus in nine coeducational residential colleges. Students who live off maintain their college affiliations. In the colleges, students live, dine, and study together networking, and developing leadership skills. Each college functions as a self-supporting unit, boasting its own government, intramural sports, and other social and cultural activities. Random assignment of entering students to residential colleges ensures that each college reflects the academic, geographic, and cultural diversity of the overall undergraduate population.